Before the XS Group, advertising agencies were structured only as idea incubators. It’s where Art Directors and Copywriters are housed to come up with ideas and concepts to answer client briefs that were directed by Strategists and managed by Account Managers. The winning Production House then shoots it and turns it over to a separate Post Production House for editing, color grading and CGI-layering. All these with much involvement from the Agency team, the Production team, the Post Production team and of course the Clients. Once the material is approved, the material is then turned over to Media Buyers and Media Partners for public airing. These silos has been in place since the Mad Men era. While this structure may have pulled in business to the industry in the previous years, a number of global brands are finding it archaic and are looking at keeping a closer relationship with one partner agency, a more efficient and simplified touch-points, and most importantly Creativity. Ideas are subjective. This means a dozen heads will have a dozen interpretation and variation of a great idea, and that tends to complicate things. With the multitude of people involved in one single project – the various eyes looking, and the many heads expressing their opinions – ideas become muddled, forcing Creativity to the sidelines. There’s just too many touch-points for creativity to flow. Not to mention, the overhead cost it entails. 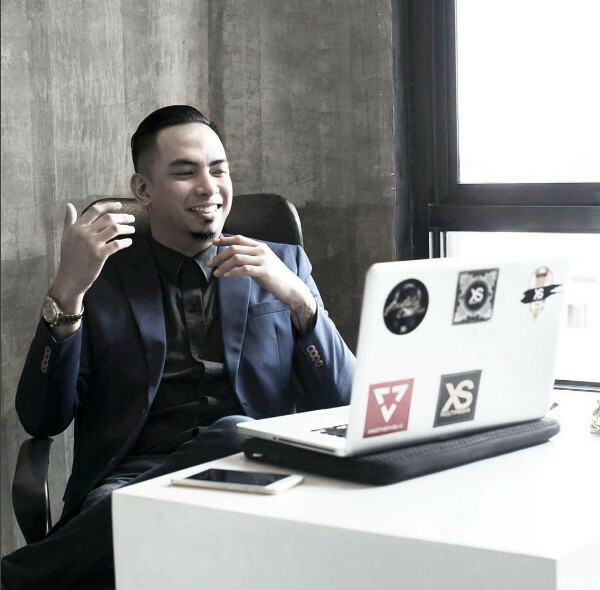 XS Group founder Chris Egan Roxas realized all that way before the big brands did. In 2011, after years of working as an in-house Art Director for one of the leading Broadcasting Network in the Philippines, Chris decided to quit and work as freelancer. He did everything: concepts, shoots, editing and even delivering the final material through flood and storm at one point. He did not see the need to work with multiple teams, nor did he see the point of it, money-wise. As a one-man team seeing an entire project through, Chris was able to lower cost without sacrificing the quality of output. He is, after all, a nationally awarded visual artist. He only pulled in additional manpower when the work calls for it – an execution he is not familiar with, or if volume was already overwhelming. Working with a skeletal team allowed him to simplify the process and made it easier to ‘stick to the idea’. For him, effective and efficient advertising is all about Creativity. Not just of ideas and executions – those are given. Creativity should also be applied in cultivating resources. Two years after doing freelance work, Chris founded his company, then called XS Design Studio and grew it into a multimedia company under the XS Group. The company houses everything under one roof. From the Concept Team (XS Multimedia) to the Production and Post Production Team (XS PostLab), and even a publishing platform (We the Pvblic), a digital marketing arm (XS by XS) and a Google Trusted Virtual Tour company, Odoco. Under his multimedia group, Chris brought back Creativity front and center. Creatives now has the ability to oversee projects from start to finish, allowing them to make creative judgments and ensuring effective creative output. Being able to work closely with the other business units allowed collaboration between talented individuals who are experts in their own fields: art directors, copywriters, photographers, editors, animators, digital strategists, and content creators. Because of the low number of people involved, it not only lowered cost, the flow of work is also simplified and allowed closer collaboration between the brand and the XS Group. The XS Group broke down advertising silos and changes the way the industry works. Chris’ business innovation has proved efficient, garnering him recognition from all over the world. Old and new businesses are now evolving their own structure to follow that which he has painstakingly built from the ground up years ago. XS Group has won the trust of various business sectors such as telecommunication, lifestyle and entertainment, FMCGs, agricultural ventures, even start up businesses both in the Philippines and abroad. The growing regional accounts has also led to the launch of XS Group’s Singapore-based office, XS Asia which caters global accounts – Chris’ next goal. But with all his business innovations, his greatest accomplishment is bringing back Creativity. In an industry where clients are getting smarter, ideas are getting older, and executions are getting cheaper, Chris made sure that Creativity remains king. As it should always be. Social media geek. Professional internet practitioner. Incurable web advocate.